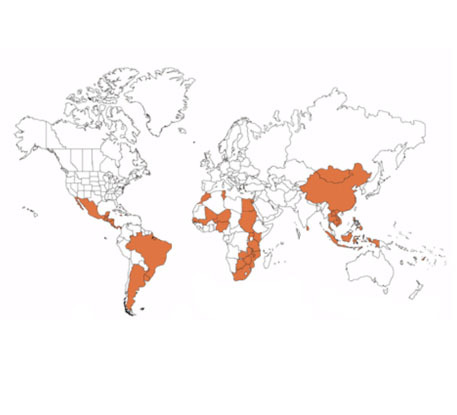 The Assessments of Impacts and Adaptation to Climate Change (AIACC) program supported teams from 46 countries in Africa, Asia, Latin America, and Small Island States to produce 24 sub-regional climate change assessments. Between 2002 and 2007, the initiative involved over 300 scientists, experts, and students and produced more than 200 publications that provided critical input to the 4th Assessment Report of the Intergovernmental Panel on Climate Change (IPCC). AIACC assessments investigated a wide range of topics including biodiversity conservation and ecosystem resiliency, water resources, agriculture and food security. The AIACC experience combined research efforts with multiple capacity building activities, including south-south training events in which assessments teams provided targeted training to other teams in the AIACC network.